Try these existing solutions for free. Low risk, low cost. Each solution is personalised to fit your event and brand, and is fully backed by personal support direct from the developer. If you need anything changed or fixed it's just an email or phone call away. All costs are fixed up front. Simple, low-cost online registrations for your next retreat. 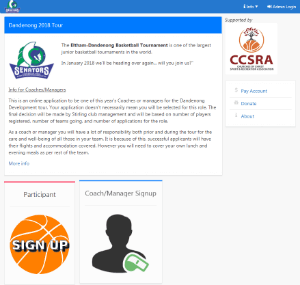 This application is used by SportsPlus, Youth Vision and church youth groups to take registrations from participants, coaches, volunteers and leaders for their camps and trips since 2015. It allows registrants to pay up-front, in full or in instalments. If you're planning a youth camp anywhere in Australia and need to take registrations online, email jeff@jk64.com with the details of your camp and a test site will be set up for you to evaluate. 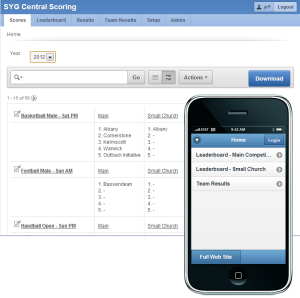 A unique suite of registration and management systems for multi-sport events. If you're planning a mult-sport event similar to State Youth Games or SportsFest, email jeff@jk64.com with the details of the event and a test site will be set up for you to evaluate. Get a custom application that matches your needs.